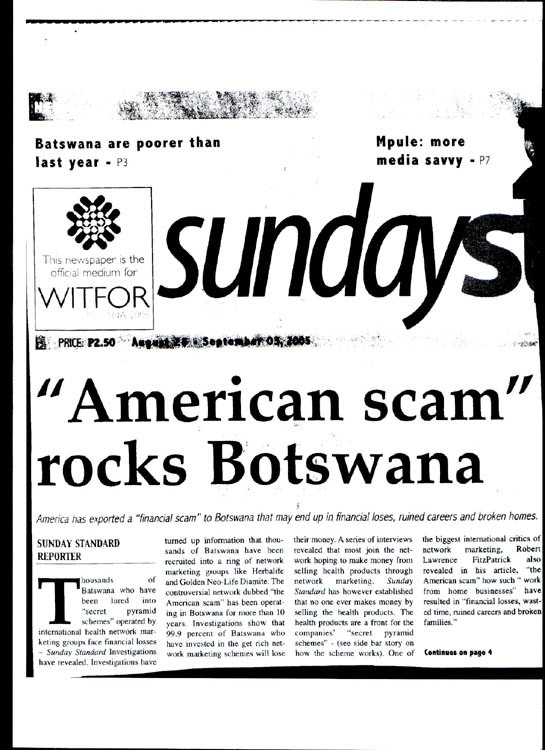 One of the authors sent scans of this article out of Botswana's Sunday Standard. 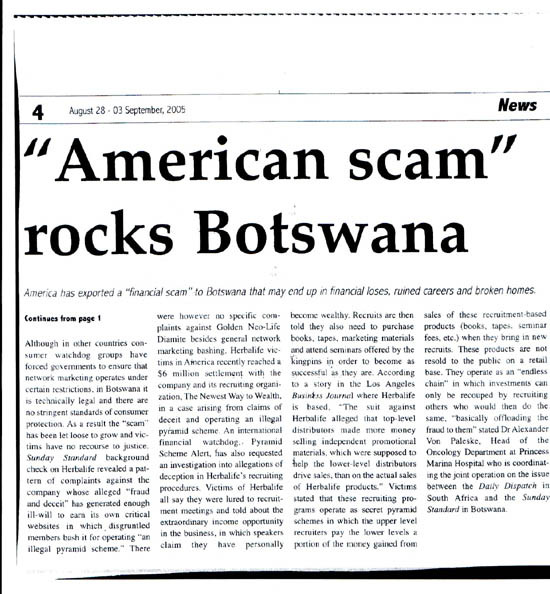 The article explains how families in Botswana are lured into the Herbalife business with promises of wealth and prosperity, but almost always meet with failure. 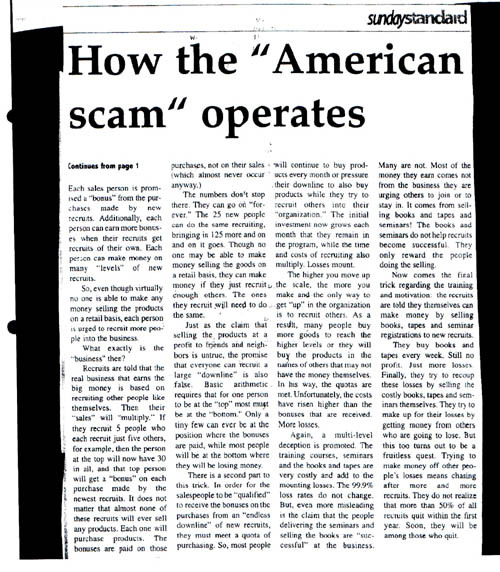 Click on these small article images to see larger versions, although they still might not be legible. I find this situation to be sad and embarrassing. 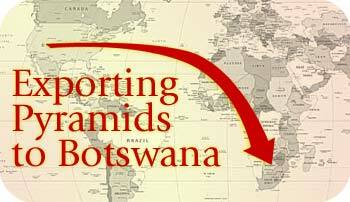 America should be known for doing its best to help developing countries, not for exporting pyramid schemes and empty promises. Terms and Conditions Copyright 2005 Cockeyed.com, except for letters authored by other people.